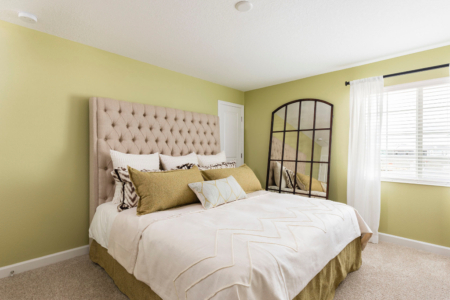 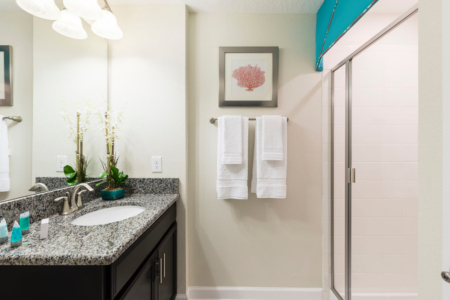 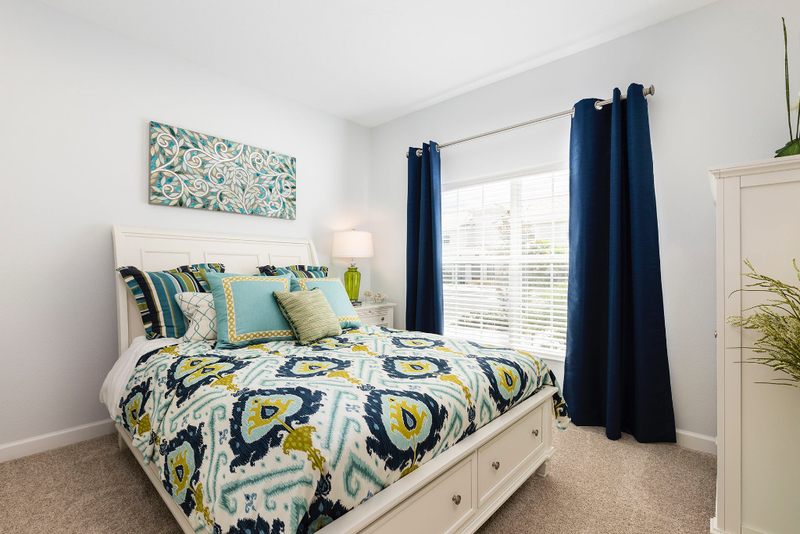 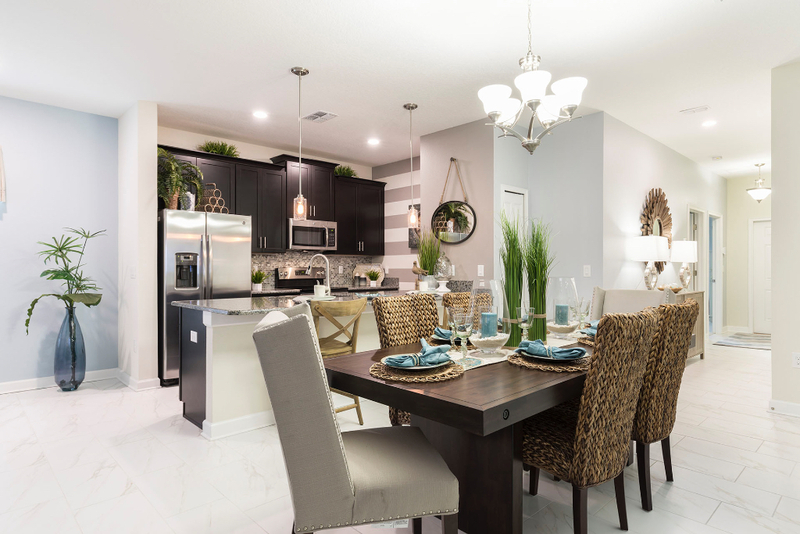 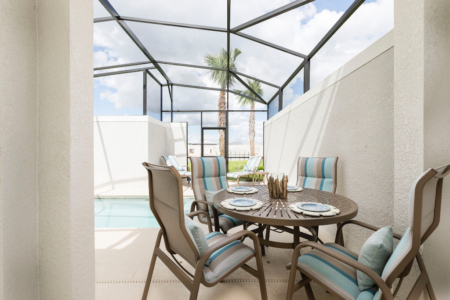 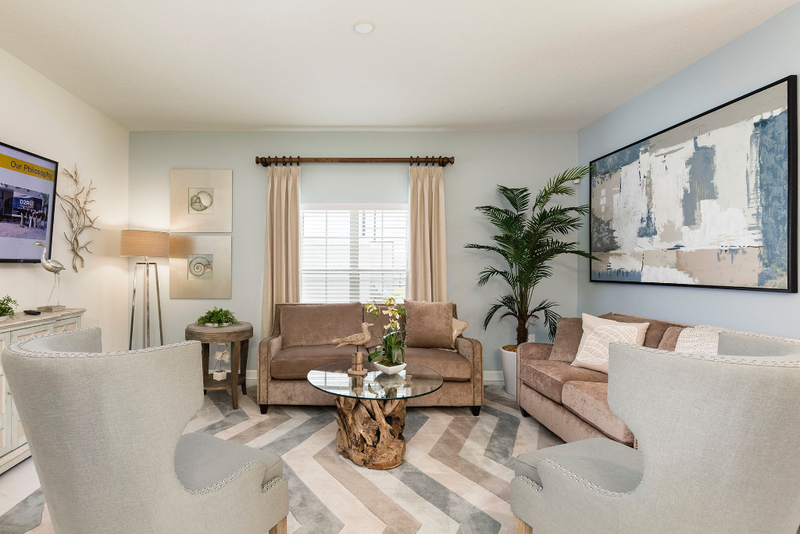 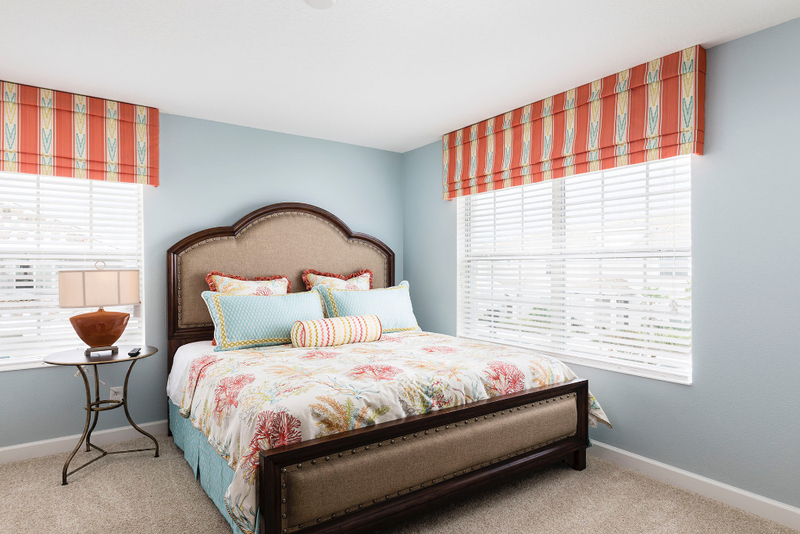 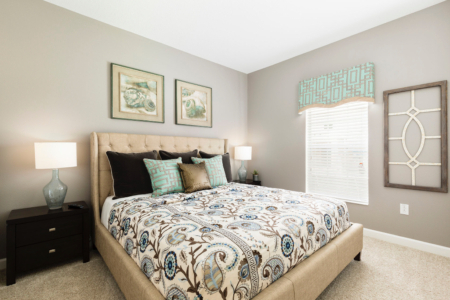 Lennar Homes partnered with us to design this elegant 5-bedroom townhouse. 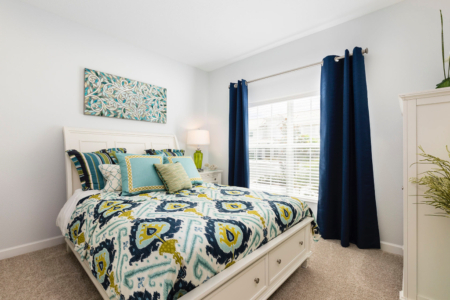 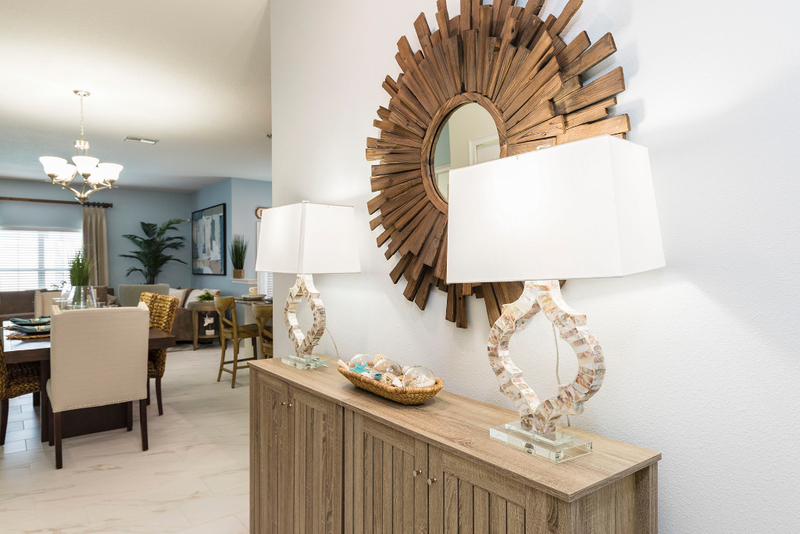 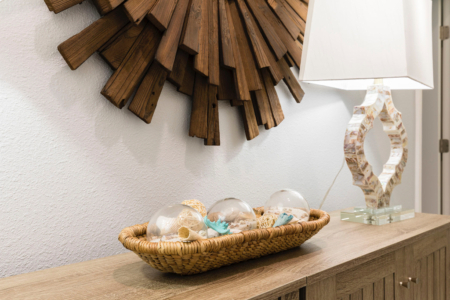 We wanted to design this townhouse in a coastal style that really brings the rooms together with the right blues and natural tones to create a beach or ocean feel. 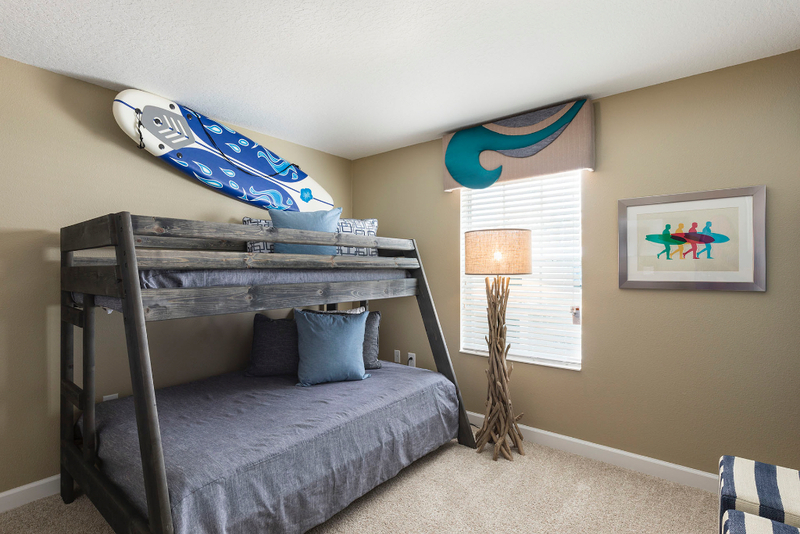 We also themed the bedrooms to make them stand out and showcase our talents in room design. 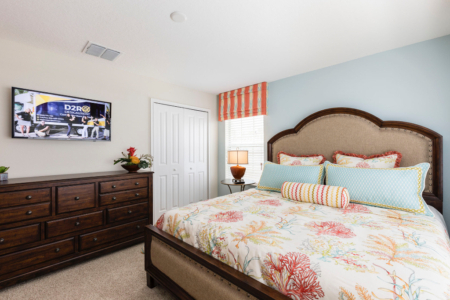 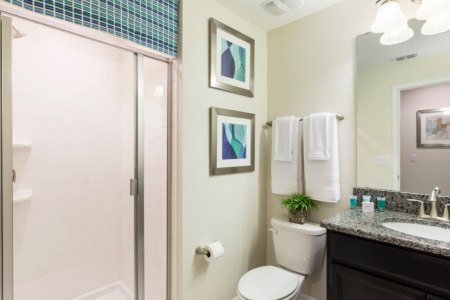 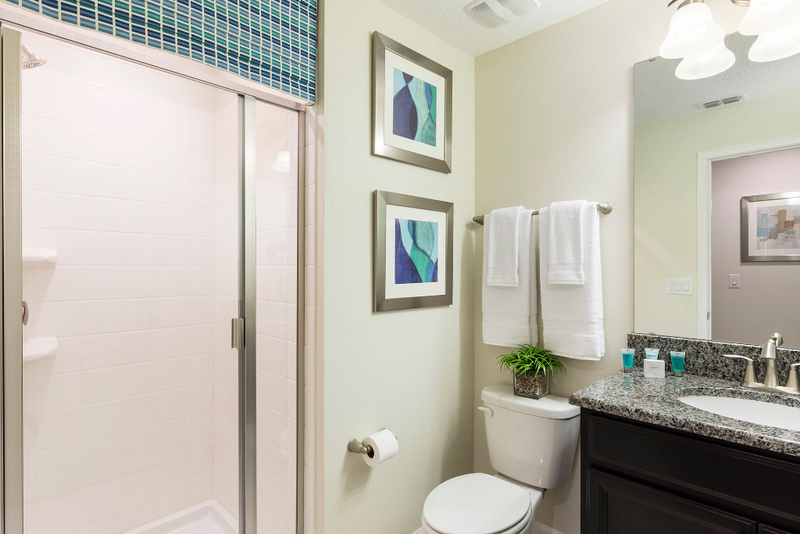 Here are a couple of rooms we like to highlight. 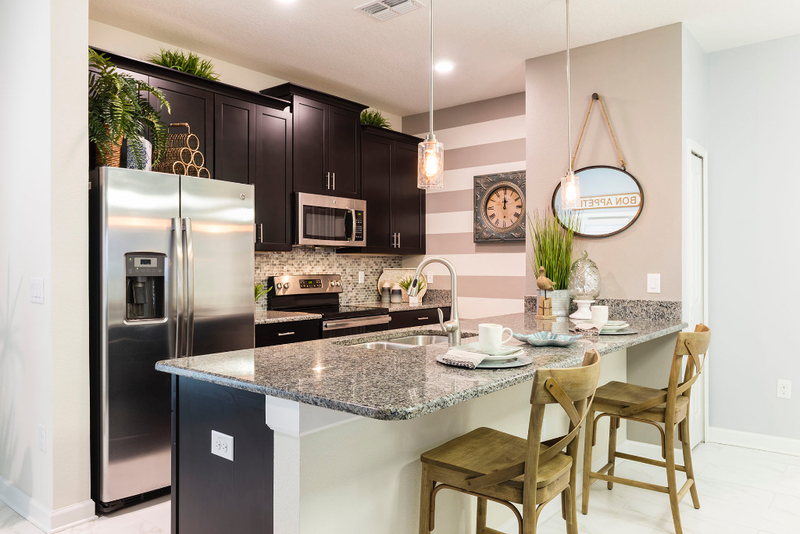 We were lucky with the kitchen, as Lennar Homes had installed some pretty crucial updates that made our coastal, yet modern theme work. The cabinets are a dark rich color that brings a warmer quality to the kitchen. 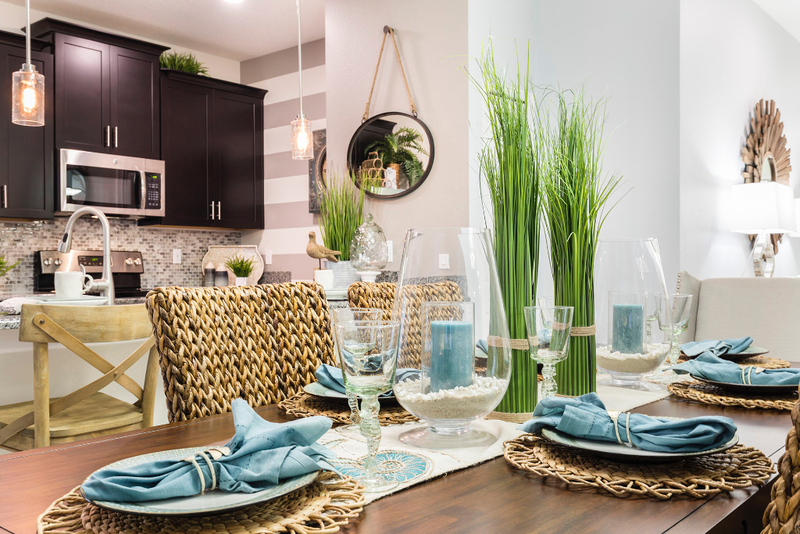 We combined this look with an aged look to the breakfast bar chairs, the Bon Appetite beach sign, and the various accent pieces to give the kitchen a beach feel with a modern flair. The dining room is the transition from the modern feel of the kitchen to a more coastal feel throughout the house. 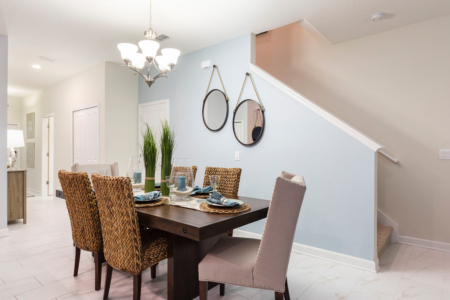 We added touches of wicker to the dining room table with a light blue to really give off that beach house vibe. We wanted to continue the beach look and gradually move away from the modern kitchen to a more rustic home. The bedrooms and the rest of the home are all themed very coastal. Light blues and sandy colors run through most rooms to give guests a true vacation feel. 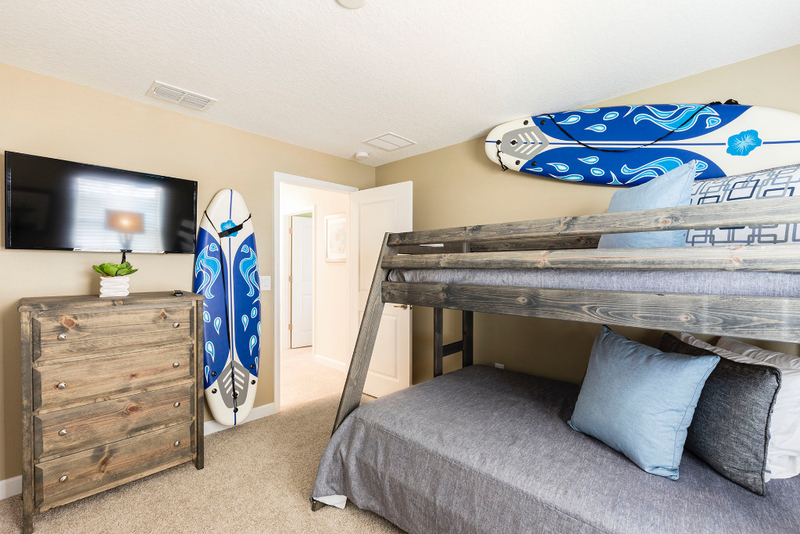 The rooms themselves are all themed, including a kids’ bunkbed room that is surfer themed. We added real surfboards for décor and a mural of a cresting wave to tie the room’s theme together. 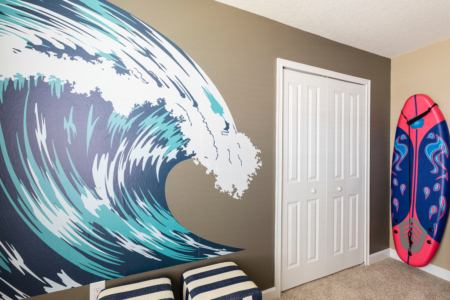 If you like the coastal theme we presented in this home and would like more info on our services, please contact us today for more information!